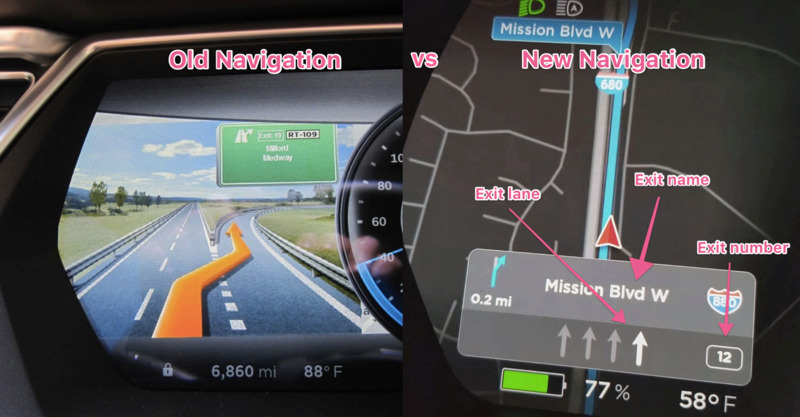 As you may already know, Tesla is currently rolling out its new navigation. What it’s not so clear is who’s getting the new maps and who’s not. For now, all we know is it’s being rolled out in the United States and Mexico only. Tesla is telling people that they started rolling it out only in California but several people from other states have reported receiving it. In an effort to collect all places where fellow Tesla owners are getting the new maps, we’ve put together this map and FAQ which show cases reported to us. Below you can find two lists of locations and the percentage of Tesla owners who have reported having the new maps in each one of them. We have received many more reports from the US and Canada than from any other country, which is the reason why we’ve created two lists: US and Canada, and rest of the world. Only states and countries with at least one reportee are listed. How can I update my response once I get the new maps? It is as simple as filling the form again using the same email. If you do that, we will only use the latest one that you sent. If you don’t opt-in to the newsletter - which isn’t required - your email is only used for deduplication. When I got my car it had the new maps already, should I add myself to the map? No. We love you, and we truly appreciate that you want to collaborate, but we are trying to track how Tesla is rolling out the new maps and having people reporting something else would create bad data. Tesla owners have created this map. If you are part of online communities for Tesla owners, you have friends who are Tesla owners, or you can think of any other way that can help us reach more people, please share this page. I want to embed the map on my page, how can I do that? That is awesome! The Tesla community has created this map, and it is for them to use it freely, so feel free to distribute it. You can embed it by using this iframe. If you do so we would love to hear from you please, send us an email to contact@tesletter.com. This map wouldn’t have been possible without the help of the Tesla Motors Club forum and the Tesla subreddit. ❤️! Please, if you are part of another community helping to this map let us know so we can include you in the acknowledgments. 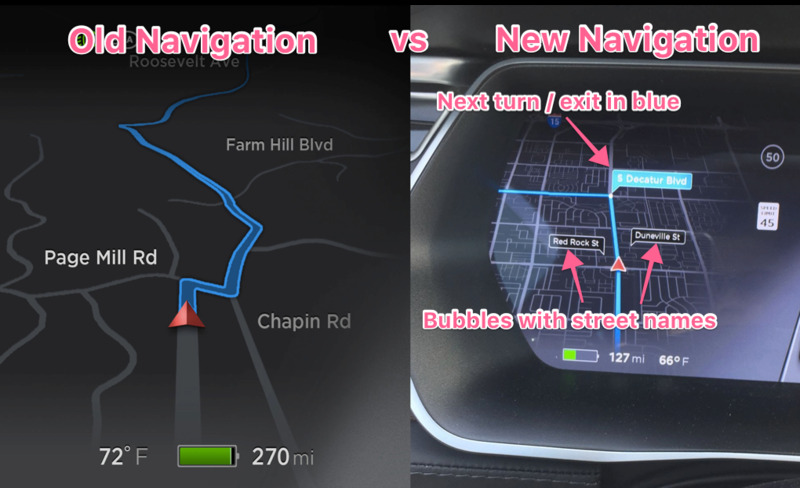 How do I know if I have the new Tesla maps? New exit indication with number, name, and lane of next exit. Bubbles with street names. Next turn / exit in blue. Finally, the new maps are vectorial and high resolution. They look soooo much better!